Community Corner - Help the Salvos Spread Hope This Christmas. Thank-you to all our customers for your support throughout the year, we look forward to seeing you again throughout the Christmas season and into 2014. Select any combination of Tatts games including entries for the $30 Million TattsLotto Megadraw, on Saturday 4th January, for your Tatts Christmas Gift Packs. Lucky Christmas Scratchies Gift Packs make a great Christmas gift. Lucky Scratchies Christmas Gift Packs are now available and can be made up to any value of Lucky Christmas Scratchies. 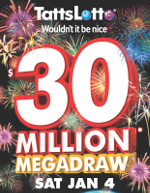 Megadraw syndicates and advanced entries are now available for the $30 Million Tattslotto Megadraw on Saturday 4th January. Call in today and pick up your ticket to dream or contact us to reserve your syndicate shares. 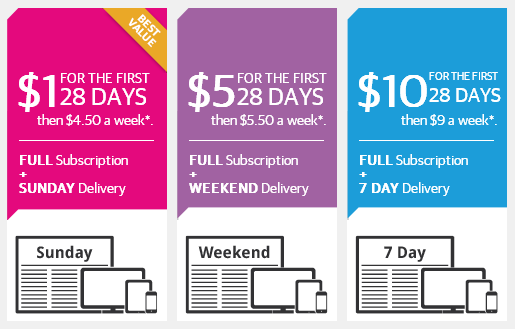 Visit www.heraldsun.com.au/subscribe for these great subscription offers that include the Herald Sun Online plus Sunday, weekend or 7 day newspaper delivery. Visit the Salvation Army Christmas Appeal website at www.salvationarmy.org.au/christmas where you will find a number of ways to help the Salvos spread hope this Christmas.